Los Angeles International Airport is the largest airport in both the Greater Los Angeles Area and in the state of California, and one of the largest international airports in the US and the world. The airport is most often referred to by LAX, with the letters pronounced individually. LAX is in the southwestern Los Angeles area along the Pacific Ocean. 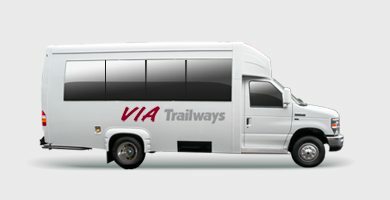 If you’re planning a trip and need a ride to the airport, let Via Trailways help you get there! We want your trip to be as stress-free as possible so you can focus on having a relaxing time. You don’t worry about leaving your car at a parking lot for an extended period of time. Use the map to find your terminal on time. Stop and get a beverage or snack at the Starbucks in Terminal 6. Walk through one of LAX’s art exhibitions as you wait for your flight.